Yes, I'm still pregnant. For awhile I'd sometimes forget because I'm so busy with trying to figure out the move to PA and take care of the boys... but it's getting harder to overlook. The little man is more and more active and kicks and jabs me more often and the belly is beginning to limit what I can do. I gave up running about a month ago and have made it to the gym just about everyday to swim for an hour while living at my parents' house. I've really really enjoyed swimming and hope it's giving my Achilles some time off to heal. 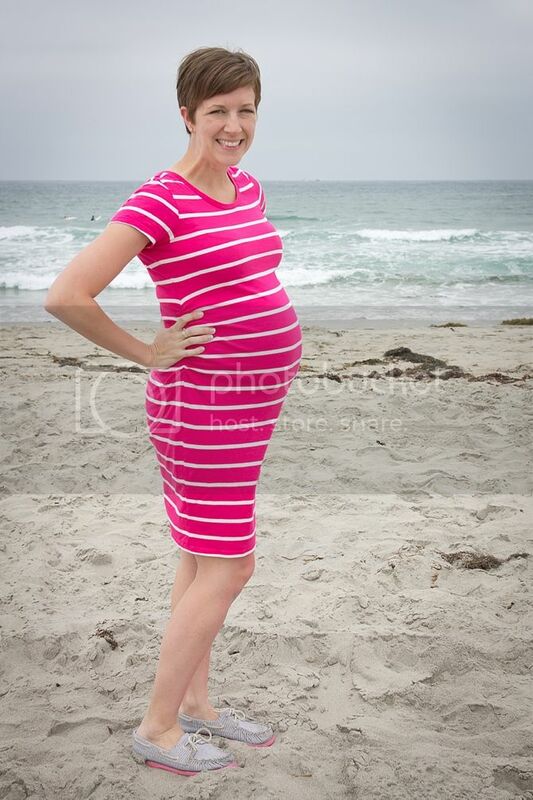 Courtney took some pictures of the ole belly while we were at the beach. 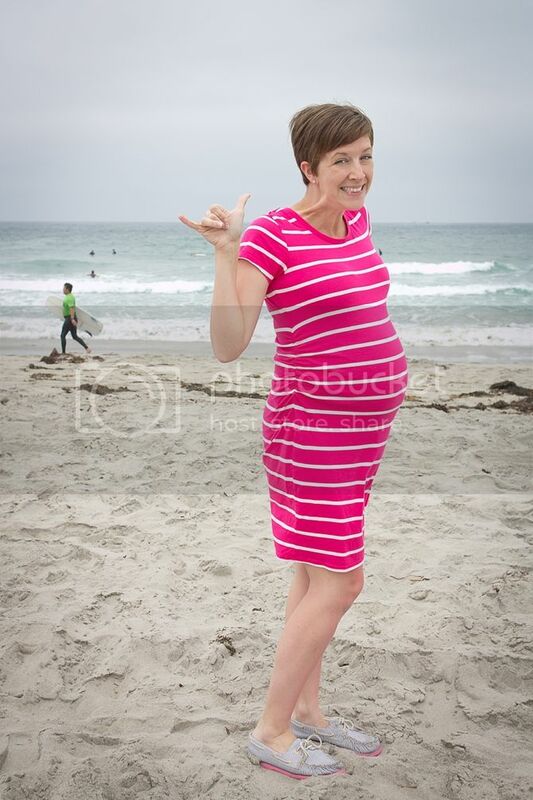 I know I've done a sub-par job of recording this bump so I was lucky to have friends willing to take silly pictures of me on the beach while we were in San Diego. Maybe we'll go with Jareth so we can reenact scenes from Labyrinth? Also, tell us a little bit about what you're wearing. Where's that cute dress from? Old Navy! They really have awesome stuff. For the cheaps. Why did your swimsuit pic not make the cut? You look so cute! Can't wait to hear about the new little one!